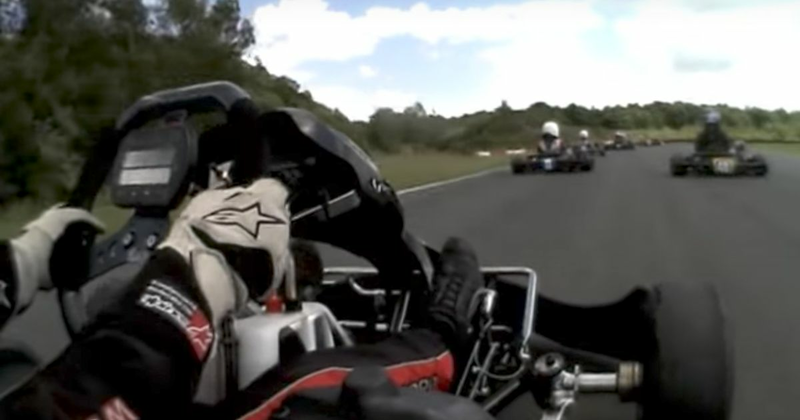 Check out this awesome onboard footage of a 12-year-old Max Verstappen totally bossing it in a go-kart race. Max Verstappen has overtaken more people in F1 in the last two years than anyone, and even in his karting days he was clearly a natural at it as this footage shows. It was filmed in 2009 at the Ostricourt circuit in France when Max was only 12 and even then you can see just how good a feel he has for racing. He passes pretty much everyone! He seems to gain loads of time on the brakes and his control in general is excellent, as you’d expect from anyone who’s gone on to be as successful as Max has. He even has a favourite overtaking spot!